At a recent congress planned by International Physicians for the Prevention of Nuclear War (IPPNW e.V. ), a Kenyan doctor at Kenyatta National Hospital and a consultant from the University of Nairobi in Kenya gave a presentation on German weapons being used in Kenya. 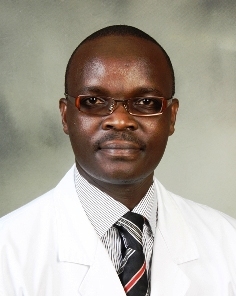 The Kenyan doctor, Dr. Walter Odhiambo, showed shocking images of some of the patients he had worked with over time. According to Dr. Odhiambo, German guns especially those from Heckler & Koch, a German weapon manufacturer are very popular. The doctor who has been shown the weapons used on his patients by the police, stated that most of those weapons are made in Germany. Dr. Odhiambo had come into the country for a conference by IPPNW which aimed at exposing the crimes that come from the export of weapons from Germany to third world countries. Dr. Odhiambo together with some organisers had planned to visit the Heckler & Koch factory, but they found it locked. A group that planned to demonstrate found the company shut down. An invitation to the company to attend the event and speak out, went unanswered. Walter Odhiambo, IPPNW, Kenia – “Small Arms – Weapons of Mass Destruction” from Christopher Johansson on Vimeo.